Over 25 years’ experience managing thousands of clinical programs worldwide. We understand how challenging the management of a clinical supply chain can be. International trials require global facilities in strategic regions combined with local insight and experience of the various regulatory requirements. Investigative products must be supplied to sites effectively and efficiently. 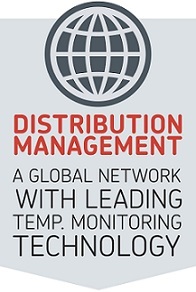 You need a strong shipping strategy with temperature control and the robust management of the supply chain. Our approach is integrated, from shippers and monitors to courier management processes and online decision making tools. We provide strategies that go hand in hand with IVR management, which manages peaks in demand and provides the most efficient direct-to-site (or depot) approach. We’ve invested heavily across all of our main sites to increase capacity and resource for IMP storage and shipments. This strategy continues with additions across all three sites for increased ambient, refrigerated and controlled drug storage. Our latest investment includes a new facility in APAC opened in 2015 and provides a global resource to support your team and meet all of the protocol demands in this region. With experience of shipping to over 110 countries globally, we can offer expert guidance on the drug shipment process at the start of each protocol. This can contribute to faster study start-up dates and the removal of unneccessary delays.